Full Tuition Assistance for Project Heartbeat’s Newest Career Training Program, 4 week EMT Academy! Home/Full Tuition Assistance for Project Heartbeat’s Newest Career Training Program, 4 week EMT Academy! Project Heartbeat will be launching an accelerated 4 week EMT Training Program from August 16 – Sept 9, every Thursday through Sunday at our Oakland Campus, 333 Hegenberger Rd, Suite 855. We have collaborated with Falcon Ambulance to provide employment opportunities immediately upon completion of the EMT training program and National Registry Certification. In addition, Contact Allan Bulda for details on tuition assistance to cover the entire program course costs of $3,300. We will be hosting a recruitment event for eligible candidates on July 19 in Oakland. Call 510.452.1100, ext 101 for details. Come by anytime and meet with us to discover all the advantages of what an accelerated EMT Academy can do for your entry level career in the healthcare. This is an fun and exciting opportunity to gain valuable knowledge and experience that will boost your career goals, whether it be as a Firefighter, Emergency Dept Technician, Nurse, Physician Assistant, MD, or Paramedic. 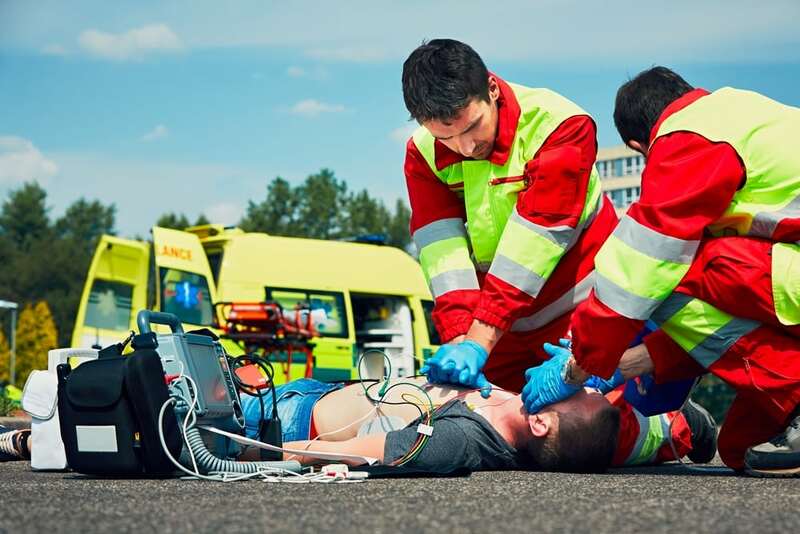 Project Heartbeat’s 4 week EMT Academy fulfills the training requirements set forth by the State of California in Title 22 of the California Code of regulations Division 9, Chapter 2, for Emergency Medical Technician Basics. Through didactic lecture, realistic emergency simulation training, interactive participation, and 3 clinical ride alongs with Falcon and local Ambulance companies, graduates of the EMT Program will be prepared to successfully complete the National Registry EMT-Basic Exam as the final step to obtaining EMT- Basic licensure in the State of California and working in a career on a BLS or CCT Ambulance. By Project Heartbeat|2018-07-25T06:00:36-07:00July 12th, 2018|Career Programs, Education|Comments Off on Full Tuition Assistance for Project Heartbeat’s Newest Career Training Program, 4 week EMT Academy!